Accommodation for 12 people, pet friendly! Beautiful view, privacy guaranteed. Private pool with big yard. The apartment is located on the first floor of the house and is ideal for families who want to enjoy a peaceful and relaxing holiday. The house Marcela is very quiet but very central. Within walking distance you can reach restaurants, pharmacies, post office and much more. Modern apartment with pool, free Wi-Fi and air conditioning, ideal for a couple or families with small children! 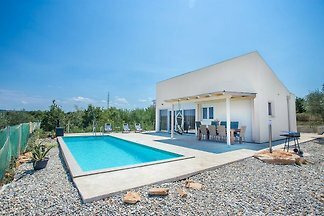 The family-friendly property is located in the tourist village Lanterna in Istria is a beautiful facility in Croatia. The apartment is located in, seafront, Residence Lanterna Apartments. The residence is located in a pine forest, in the village of Tar. 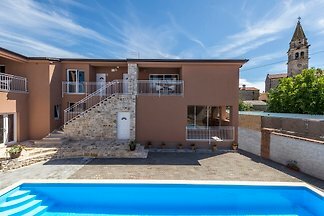 The family-friendly property is located in the tourist village Lanterna in Tar, Croatia. The holiday village adjacent to the sea, making it ideal for families. 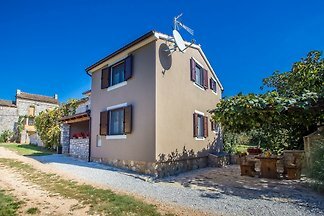 Casa Blechi is an over 100 years old Istrian semi-detached house built in traditional way using rough stones. It’s located in the small village Stancija Blechi with just 3 houses. 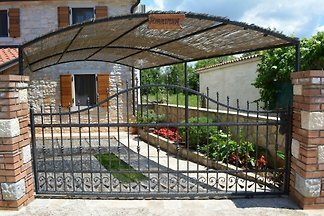 New, beautiful, very comfortable villa with pool and with stunning nature views, close to the sea and close to the town of Porec located. from 5 2 holiday homes & accommodations in Tar were rated with an average of 4.6 out of 5 stars ! Rent successfully your holiday flat or holiday home in Tar in only 20 minutes !